A responsible and informed consumer can work more effectively with reputable Thornton contractors, and can avoid being victimized by unscrupulous or unlicensed operators. The “buyer beware” principle can help prevent frustration and disappointment when preparing to make a major decision. 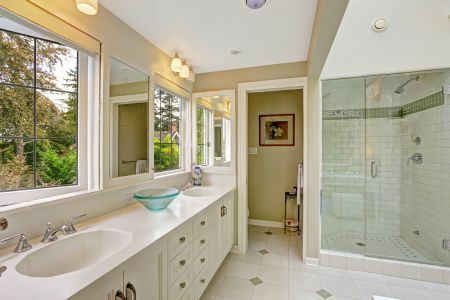 By carefully considering what you want done to your Thornton property, what it will realistically take to do the job, and taking the time to research and check the license of the Thornton remodeling professional you hire to do the job, you may avoid many of the headaches often associated with remodeling. Almost everyone knows someone in Thornton who has a nightmare story to tell about their Colorado remodeling job: the length of time it took; the inconvenience of the noise, dust, and absence of such essentials as plumbing, electricity, heat, and air conditioning; lack of privacy during the job; or the cost overruns associated with homeowners who had to live through what they described as “the trauma” of even the smallest remodeling job. Protect yourself—and your pocketbook—by doing your home improvement homework and planning responsibly for your project. When a disaster strikes Thornton, understanding your specific requirements is essential. At Epic Remodeling & Restoration we are experts at assessing your loss and timely and professionally restoring your property to its pre-loss condition. We have the expertise and experience to help you recover from Fire Damage, Water Damage, Lightning Damage, Storm Damage, Mold, Sinkholes and more. With over 15 years experience in disaster restoration services in the Thornton Colorado area, Epic Remodeling & Restoration has the experience you need to navigate the insurance claims process, provide you will a complete scope of work and expertly restore your damaged property. There is nothing more devastating than to see your Thornton home or business damaged by storms, water, snow or hail. Critical decisions must be made immediately. It is important to choose the right Thornton storm damage contractor; one that you can absolutely depend on and one that has your best interest in mind. Epic Remodeling & Restoration is one of the largest Thornton storm damage restoration companies in Colorado. We are recommended by, and work with all major insurance companies. We handle every aspect of your loss from complete reconstruction to re-roofs and clean up and contents restoration. No job in Thornton is too big or too small for us to handle successfully.